Obituary for Genevieve "Ann" (Fitzpatrick) Masuelli | Bermingham Funeral Home, Inc.
Rockaway Twp. 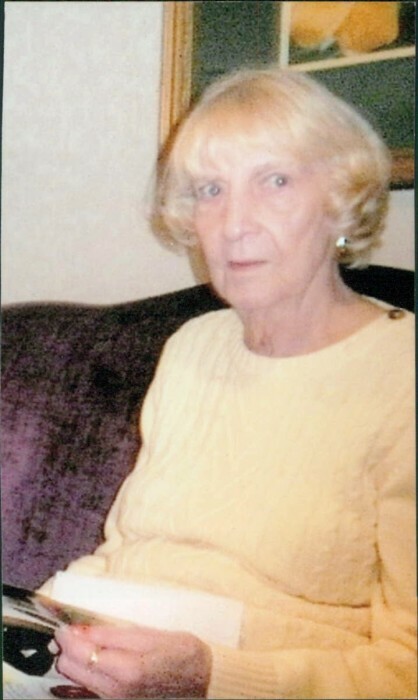 : Genevieve Ann Masuelli (nee Fitzpatrick) died at The House of Good Shepherd, Hackettstown at the age of 89 on December 6th, 2018. Mrs. Masuelli worked at Picatinny Arsenal in Rockaway NJ for 27 years. She was a fourth generation member of St. Bernard Parish in Mount Hope. Ann was preceded in death by her husband Dr. Frank J. Masuelli, her mother Genevieve (O’Brien), her father Francis J. Fitzpatrick and her brothers Frank (Buddy) and his wife Doris, Richard and John. She was survived by her son, Mark Masuelli and his wife Carmen and their children Frank and Carina of The Woodlands TX, a Daughter Lisa Borbely and her husband Andrew and their children Casey and Drew of Oak Ridge NJ. She belonged to National Active and National Association of Retired Federal Employees (NARFE William J. Ryan Chapter 424), Catholic Daughters, and St. Mary’s Happy Hour. Visitation will be held 1-5pm on Sunday, December 9, 2018 at the Bermingham Funeral Home, 216 S. Main St., Wharton. A funeral mass will be held 10am at St. Bernard Parish, St. Bernards Rd, Wharton, NJ 07866. Private interment will be held at a later date in Locust Hill Cemetery, Dover. In lieu of flowers, donations in Ann’s memory to St. Bernard Parish, 446 Mt. Hope Rd., Wharton, NJ 07885 would be appreciated.